Mounting alarm has been created by the Roman Catholic Bishop of Lancaster when he questioned recently the future of some of the finest churches in his diocese. In Preston, which was granted city status to mark the Queen’s Golden Jubilee, there is talk of closure of a number of the best preserved Catholic churches in the country, including St Walburge’s, with the tallest spire of any parish church in England (309ft — 95m — to Louth’s 295 ft and the 292ft of St Mary Redcliffe, in Bristol). Preston was a Catholic stronghold in Elizabethan times and a focal point for both the 1715 and 1745 uprisings. With Catholic Emancipation the town led the way in ambitious church building in both Gothic and Classical style. These churches were not the gift of rich aristocratic patrons but an expression of the intense piety of some of the poorest people in England. The Church of St Ignatius contains a plaque recording £1,130 raised in small weekly contributions to build the church. A guide to St Walburge’s notes that one supporter “had gone into some of the poorest houses and had been given six or seven pence where he would not have thought the furniture of the house was worth so much”. St Ignatius is a northern counterpart of St Luke’s, Chelsea, built in a pretty Tudor Gothic style and set amid green lawns flanked by charming terraces of late Georgian cottages. St Walburge’s has a hammerbeam roof exceeded in dimensions only by that of Westminster Hall. 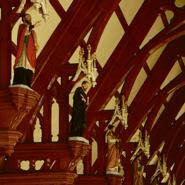 The 66ft wide nave is roofed by a run of 13 soaring trusses adorned with colourful statues of saints. Excellent lighting creates a radiance on the dullest day, with gorgeous stone carving, stained glass and brasswork concentrated on three east end altars set at the top of a cathedral-like ascent of successive flights of steps. St Walburge’s was designed by Joseph Aloysius Hansom, whose other great masterpieces (apart from the Hansom cab) include the Catholic Cathedral at Arundel. St Walburge’s opened on August 3, 1854, shortly before the devastating lock-out of 25,000 mill workers seeking reinstatement of pay levels after a wage cut. 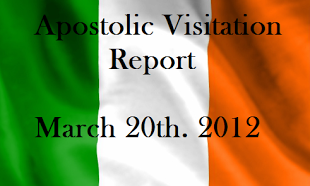 Although recent media reports have suggested that Catholic Sunday attendances now exceed Anglican ones, the Bishop points to “half-empty churches, a certain ‘tiredness’ in our communities, some Catholic schools fast-losing their identity, \ absence of young adults in our churches .” A still more serious problem, according to postings on the diocesan website, is the “reduction in young men offering themselves as candidates for the priesthood”. Anglican parish churches, thanks to church wardens, retired clergy and lay readers, can survive quite long interregnums between vicars. A Catholic church without a priest must effectively close its doors. When Church of England churches are considered for closure artistic considerations are weighed with pastoral ones and it often proves possible to close a church of little architectural merit, retaining an exceptional historic building nearby. Catholic dioceses have a parallel procedure but it is not stipulated when the architectural assessment will take place — it may only happen after a bishop has taken the decision to close. Three Catholic dioceses, including Lancaster, have commissioned detailed reports of their churches. The diocese of Arundel and Brighton has put the 33-page Architectural & Historic Review of Churches on its website for congregations to absorb, while the diocese of Portsmouth is considering turning its assessment into a small book. Lancaster has not so far shared its equally interesting report publicly. These reports are funded by English Heritage, and so are, theoretically at least, in the public domain. In Preston, the diocese of Lancaster undoubtedly has some large city centre churches at a time when the Catholic population has shifted to the suburbs. The notable 1870s church of St Joseph is now in a predominantly Muslim neighbourhood, though the church school continues to flourish. St Augustine’s, which had a Grade II listing, has been entirely rebuilt as a sports centre behind the handsome classical twin-towered front. The Jesuits maintain E. W. Pugin’s English Martyrs church (Grade II), while the city centre church of St Wilfrid’s, with a rich Quattrocento-style terracotta façade and marbled interior, is immaculate. At St Ignatius the congregation is down to 150 on Sundays but boosted by a weekly Mass for 300 Poles as well as services for Christian Sri Lankans and Ukranians. St Walburge’s, it is suggested could play an increased role in university life. The Bishop of Lancaster acknowledges the “denial, anger, disappointment and confusion” felt by some in the diocese at the proposed closures. But if concerned people can rally in a practical way, the bishop may have helped to sow the seeds of constructive solutions.